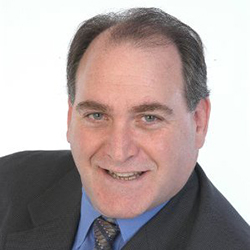 Hi, I’m Irwin Repinsky, Branch Manager and lender at Absolute Home Mortgage. Before entering the Mortgage industry, I worked in retail as a menswear buyer at Abraham and Strauss—now known as Macy’s. I soon realized that the wholesale manufacturing industry could provide me with a challenging career and an opportunity to grow—where I quickly became an Executive Vice President at a major apparel firm. As the head of marketing, I helped develop products like the Jerry Garcia and Jimmy V neckwear programs, which were licensed by major networks like ESPN and ABC to honor Jim Valvano and his battle to overcome cancer. We helped raise millions of dollars for cancer research and other charitable organizations. Fast-forward to the present day, I now have over 15 years of experience in the mortgage industry, my own branch office, and a network of realtors and financial advisors that not only seek to help out one another but the community as a whole. I take a different approach than most “Mortgage Specialists” out there. The number one question I get asked by new clients is “What is your rate?”And the number one answer I give is “I know my rate, I don’t know yours.” What most people don’t understand is that a mortgage is SO MUCH more than just a rate; it can get you one step closer to your dream, save you money on your taxes, and even help increase the value of your home. * I don’t believe in making false promises, feeding you the lowest rate, and telling you what you want to hear just to get your business. Instead, I show you how to focus on a few simple steps to keep you financially fit in preparation to closing on the home of your dreams. If you’re serious about buying you’ve probably been searching online for that perfect home, exploring new neighborhoods, and picturing yourself on your deck overlooking your beautiful backyard. But before you can turn that dream into a reality, there are some important steps you have to take to ensure success. I’m happy to share some of them with you right now! 1) What does prequalifying mean and why should I care?After deciding that its time to buy a home, it is crucial that you first know how much you can afford to spend. A pre-qualification is a way for me, your lender, to analyze your financial situation and provide you with a rough estimate of what you can afford. This allows sellers to see that you’ve been initially screened and provided with an informal agreement to be provided with a loan. This can help increase your chances of being considered a serious buyer and one step closer to moving into your new home.So you’ve got your pre-qualification and you know what you can afford. Great. But what is the next step to take in the home-buying process? 2) Choosing the Right LoanAfter we’ve discussed where you stand financially and have taken into account what you’re able to afford, we will need to decide on the best loan based on your needs. I work with you side by side and help you identify the best loan option suited for you and your family.If you’ve already started your home-buying process but are still unsure of what steps to take or you just want to get a second opinion, please feel free to reach out with any questions. I’m here to help.